2018. February 8. The ratings of some insurance and reinsurance groups could be affected by the impact of the reform of US tax law. AM Best said that anticipated structural changes to certain reinsurance arrangements between affiliated insurance or reinsurance companies, particularly those domiciled in the US, could impact the rating agency’s assessment of group rating affiliations. The agency said its “rating unit” concept in evaluating insurance group members recognizes that the financial fortunes of certain members may be so intertwined that they are most appropriately analyzed with their group as a whole. Several Bermuda insurance groups have American-based insurance subsidiaries and cede a proportion of that business to a Bermudian-based affiliate in the form of quota share reinsurance. According to a new Best’s Briefing, titled Impact of US Tax Reform on Group Rating Affiliations, AM Best expects its rated American-domiciled insurers and reinsurers to make significant changes to material financial arrangements, such as quota share, excess of loss or stop-loss reinsurance agreements with foreign affiliates, in response to the Tax Cuts and Jobs Act’s base erosion and anti-abuse tax measure. The agency said material changes to a reinsurance agreement, or outright non-renewal, for any reason, could affect AM Best’s assessment of whether a parent is willing and able to provide explicit support to an affiliate. However, it also said explicit support is one of ten qualitative and quantitative factors used to assess group rating affiliation eligibility, and it will consider all of these, “including all forms of explicit support, on a situational basis”. AM Best expects tax reform to be a net positive for the financial position of US property/casualty insurance companies and American-parented global insurers and reinsurers. The agency said the largest benefit will be the reduction in the corporate tax rate; however, other tax reform provisions may limit the benefit of the reduction. AM Best noted that foreign-parented global re/insurers have publicly stated that the impact of tax reform will not be material, presumably as a result of the multiple platforms in which they can transact business. 2016: Legislation, drawing upon Delaware law, has been approved by MPs in Bermuda to introduce limited liability companies (LLCs). Such vehicles would be broadly similar to Delaware LLCs. Wellesley House. $60 per sq ft per annum, with Service Charge $23 per sq ft per annum. IAS Park Building. $33 per sq ft per annum, plus Service Charge (including Electricity and Bermuda Government Land and Corporation of Hamilton Taxes) of $16.51 per sq ft per annum. l Ram Re House. $40 per sq ft per annum or $8,666.67 per month plus Service Charge per sq ft. $9.65 per annum or $2,091 per month; Electricity estimated at $7.58 per sq ft per annum or $1,642.33 per month; Bermuda Government Land and Corporation of Hamilton Taxes currently estimated at $12,825 per annum, in total. This file lists many Bermuda incorporated international - not domestic unless shown as local - insurance & reinsurance companies. Jurisdictional regulatory agency is the Insurance Division of Bermuda Monetary Authority. All shown are limited liability companies ending in "limited" but for mention-only purposes below the word "Limited" is not included. Advantages do not include no income taxes (because there is an income tax, called a Payroll Tax, payable by employers and employees, based on employment income) but there are few restrictions as to how Bermuda companies can invest their assets and deploy capital, not to mention the island's close proximity to the largest insurance market in the world, the USA. They are presently free to accept contingent commissions, which are payments to brokers from insurers based on the volume of business steered to them. These factors, along with the current favorable market conditions, have contributed to the robust financial performance of the Bermuda insurance and reinsurance market. They are exempted from Bermuda's domestic company requirements of being at least 60% beneficially owned by Bermudians. They can trade anywhere in the world except as a local company in Bermuda (They cannot write any business for Bermuda residents, only with other international or exempted companies). The regulatory environment is exceptionally favorable to them in Bermuda - so much so that many international businesses, including insurers, from all over the world, even in places such as St. Lucia, West Indies, now have their Bermuda-incorporated and Bermuda-based companies as their registered offices and their companies beyond Bermuda as their subsidiaries. They come mostly - but not solely - from the USA. One prominent US corporation, Chevron, has over 400 Bermuda-incorporated companies and there are an equal number of Bermuda-incorporated companies beginning with the word "China." Their reasons to relocate to Bermuda as corporate inversions arise out of the USA's own tax code and/or similar taxation policies of the UK, Canada, China, Russia and other countries. The presence in Bermuda of these Bermuda-registered companies, the Bermuda Government fees they pay in return for not having any Bermuda Government taxes imposed on their income or profits and the profits they earn from their often world-wide business including acting a principal insurers in US and other jurisdictions and in major disasters such as hurricanes, typhoons and special risks, is the single-biggest reason, not tourism which lags far behind, why Bermuda, despite its tiny size of only 21 square miles or 58 kilometers, scores so highly in World Bank and related statistics in Gross National Income and other economic indicators. Showing when incorporated in Bermuda. With incorporation dates shown the American way. A much more extensive list of all Bermuda-incorporated entities, including insurance companies, is in process. When completed it will replace this much shorter file and no longer show some insurance companies only. Accord Re 5/26/1989. 28 Church Street, Hamilton HM 12. Phone 292-4006. Fax 292-3865. Accord Underwriting Agency 6/21/1989. Continental Building, 25 Church Street, Hamilton HM 12. Phone 292-4006. Accordion Reinsurance 5/11/2011 by Lancashire Holdings as a fully collateralised sidecar quota share reinsurance arrangement with a capital draw-down feature, flexibly capitalised for up to $250 million, to act as a quota share reinsurer of Lancashire Insurance Company Ltd on its worldwide property retrocession business. A Special Purpose Insurer. Since 6/2/1993. World HQ in Bermuda. Ace Building, 30 Woodbourne Avenue, Hamilton HM 08. Phone 295-5200. Fax 295-5221. P. O. Box HM 1015, Hamilton HM DX, Bermuda. Regional headquarters are in London, including Lloyd's Syndicate 2488, Stamford and Dublin. Ace Tempest Life Reinsurance Since 10/13/2000. Reinsurance division of the Ace Group of Companies. In 2007 established an underwriting presence at Lloyd's Reinsurance Company (China) Limited, Lloyd's new licensed reinsurance company based in Shanghai. Offers all lines of property and casualty facultative and treaty reinsurance to the Chinese market, fully supported by Ace's existing Lloyd's Syndicate 2488. Aeolus Re Formed April 2011, Class 3. Aeolus Re MY11 Formed May 11, 2011 as a special-purpose insurer (SPI) by Aeolus Capital Management. Aeolus Re J12 SPI Formed December 2011 special-purpose insurer (SPI) by Aeolus Capital Management. African Risk Capacity (ARC) Since May 2014. A specialized agency set up by the African Union to help member states become more financially resilient to extreme weather events and to protect insecure food populations. See its ARC Insurance Company, below. The capital was provided by the governments of the UK and Germany. It is possible that at some point in the future, the company may consider re-domiciling to Africa, depending on the wishes of the members and directors. ARC officials had visited Bermuda several times during the past 18 months, for talks with himself and financial regulator the Bermuda Monetary Authority. Affiliates Insurers Formed 23 October 2002. Class 3. Agatha Re Incorporated 28 November 2001. Class 3. Agent Alliance Reinsurance Incorporated November 18, 2011 as a class two re/insurer by Risk Services (Bermuda). Aggcap Insurance Incorporated 15 March 2002. Class 2. AIG Cat Excess Liability P. O. Box HM 152, Hamilton HM AX. Formerly Starr Excess International. Has between 500 and 600 clients in Bermuda. A property and casualty subsidiary of AIG providing catastrophic excess liability products, services and solutions plus capability to offer policies on an admitted basis. Alphacat Reinsurance Class 3. Since January 2009. Established by Validus Managers. Alea Group Holdings (Bermuda) Crown House, 3rd Floor, 4 Par-la-Ville Road, Hamilton HM 08. Or P. O. Box HM 2983, Hamilton HM MX. 296-9150. Alea Bermuda Ltd. is a property and casualty insurance company. Also with offices in Bahrain, Basle, Jersey (CI), Kuala Lumpur, London, New York, Norwalk (CT), Rocky Hill, Sydney, Toronto, Tokyo and Tunis. Now owned by Fortress Investment Group LLC, which manages private equity and hedge funds. Alea (Bermuda) P. O. Box HM 2983, Hamilton HM MX. A member of the Alea Group. Underwriting for Aviation and Space, Finite and CAT. Alea Group Holdings (Bermuda) Ltd Also with Alea (Bermuda) and Alea (Europe). Controlled by the New York buyout firm Fortress Investment Group LLC, Alea is in the process of winding down its insurance businesses following record storm losses in 2005. AlphaCat Reinsurance Formed January 2009 by Validus. AlfaStar Insurance Group formerly Stirling Cooke Brown. Chairman Stephen Crane. Alice Re Formed 2006, Class 1. Allianz Risk Transfer (Bermuda) - (ART) 55 Par-la-Ville Road, Hamilton HM 11. 295-4722. Fax 295-2867. Allianz is the leading insurer in Germany and Austria. Allied World Assurance Company - (AWAC) Bermuda Commercial Bank Building, 43 Victoria Street, Hamilton HM 12. Phone 278-5400. Fax 296-3428. P. O. Box 3010, Hamilton HM MX.. A commercial property, casualty. reinsurance and specialty lines insurer. Incorporated 13 November 2001. Property and catastrophe insurance and reinsurance. With US$1.5 billion in capital. A joint venture between American International Group Inc, Chubb Corporation, GS Capital Partners 2000 LP, an investment fund managed by Goldman Sachs & Co. Class 4. Also in Dublin. Ally International Insurance Company Formerly GMAC International Insurance Company. Altair Re Since April 2013 as Aces new $95 million special purpose vehicle (SPI). Alternative Reinsurance C/o Conyers Dill & Pearman, Bermuda. Alterra Capital Holdings A new (March 2010) Bermuda-based re/insurer created by the merger of Max Re and Harbor Point. Also includes its affiliated/owned similarly Bermuda-based operating companies Alterra Bermuda, Alterra Capital Trust I, Alterra Finance, Alterra Reinsurance Europe, Alterra Europe, Alterra America Insurance Company, Alterra Excess and Surplus Insurance Company, Alterra Reinsurance USA. Amerimed Insurance Incorporated November 6, 2002. Class 1. American Senterfitt Insurance Company Incorporated 30 October 2001. Class 1. American Home Assurance Began January 2009. 9 Richmond Road, Hamilton HM 08. Phone 295-2121. Fax 292-6735. Very prominent in Bermuda, with its own building shown below and with many AIG Bermuda-incorporated entities. World's largest insurer by market value, with a $100+ billion balance sheet. Founded in Shanghai, China, in 1919. New York-headquartered at Maiden Lane, a block from Wall Street. On 16th September 2008 AIG was rescued after the US Federal Reserve extended an $85bn bridging loan to the troubled insurance giant that provides mortgages insurance and more to most banks in the USA and many abroad. The Fed, after meeting with senior officials of the US Treasury, Senate and Congress, offered the money to the corporation in return for it pledging all of its assets. In addition, the Fed received warrants which gave it an ownership stake of almost 80pc. In March 2009 AIG announced a huge loss, highest in US corporate history, of $61.7 billion for the fourth quarter of 2008 on Monday. The US Government provided another $30 billion of aid in its third bailout of the company, now totaling $180 billion, since September 2008. The latest bailout increased the government's commitment to keeping AIG on life support, and avoided any crippling credit rating downgrades that might have forced AIG to come up with billions of dollars it might not have had. Most of the loss stemmed from big write-downs tied to credit default swaps and other toxic debt. AIG built up its exposure to swaps earlier this decade, when long-time CEO Maurice (Hank) Greenberg and then Martin Sullivan ran the company. Briefly changed its name to Chartis, now back to AIG, following its return to health, profitability and hugely less debt to Uncle Sam. Employs around 200 people in Bermuda. First major insurance company to locate in Bermuda and in the 1960s was allowed to have a separate agency of the American Life Insurance Company, an AIG subsidiary, active in the Bermuda marketplace. Owned by American International Group. A prominent international or exempted company. American International Underwriters Overseas Association Owned by American International Group. A prominent international or exempted company. Bermuda-based, in March 2013 indicated that the company is exploring “strategic alternatives, including a potential sale of the company.” The insurer turned to Bank of America Merrill Lynch to advise on its evaluation and has indicated that no further statements will be made by the company “until a definitive agreement has been reached, or until the process of exploring strategic alternatives has ended.” A week earlier, Bermuda-based run-off buyer Catalina Holdings built a 6 percent stake in the insurer as it fired a first shot in a possible takeover attempt. For 25 years, American Safety Insurance Holdings, has offered solutions outside the US in the reinsurance and alternative risk markets through its subsidiaries, American Safety Reinsurance and American Safety Assurance; and in the US for specialty risks and alternative risk markets through its programme administrator, American Safety Insurance Services, and insurance company subsidiaries and affiliates, American Safety Casualty Insurance Company, American Safety Indemnity Company, American Safety Risk Retention Group and American Safety Assurance (Vermont). (770) 485-4310. Toll free: (800) 388-3647. Fax: (770) 952-7507. Amerisure Re (Bermuda) Windsor Place, Church, Queen and Reid Streets, Hamilton. Amlin Bermuda Incorporated 24 October 2005. 141 Front Street, Hamilton. landlord Sir John Swan, from October 2011. 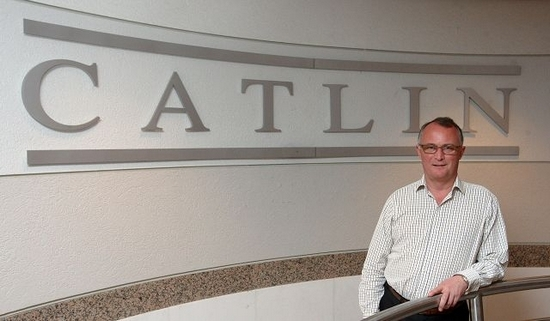 $1 billion reinsurer formed by Amlin, one of the largest UK-listed Lloyd’s insurers. Class 4. Largest independent Lloyd's insurance group. Parent is Amlin plc of UK. With total capital in the region of $1 billion. 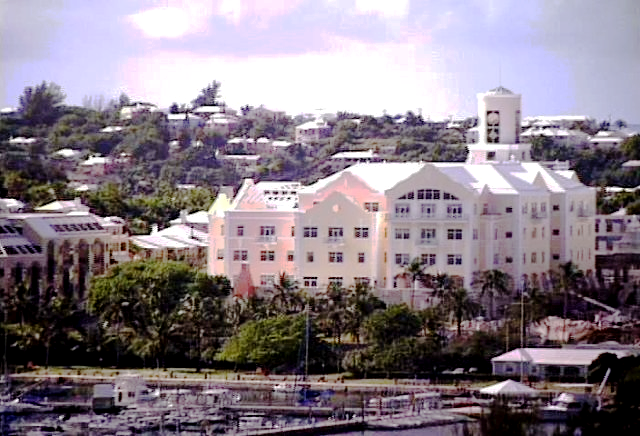 Before October 2011 was in the Bermuda Commercial (BCB) building. Began in Bermuda with a staff of four underwriters brought in from London. Since then has expanded to 45-strong team, including 30 Bermudians or spouses of Bermudians. In the global catastrophe reinsurance market, reported a group-wide net loss of £151.7 million ($250 million) in the first half of 2011, compared with a profit of £84.5 million in the year-earlier period, due to record claims from natural disasters in Japan, New Zealand and Australia. In 2010 Amlin completed redomestication of its Bermuda-based reinsurance unit to Switzerland, but the move has had little impact on its operations here. It has gone from being Amlin Bermuda Ltd, a reinsurance company incorporated in Bermuda, to becoming part of Amlin AG, a Swiss incorporated company. ANECO Reinsurance Co The first publicly held reinsurance firm in Bermuda. Annuity & Life Reinsurance Cumberland House, 1 Victoria Street, Hamilton HM 11. P. O. Box HM 98, Hamilton HM AX. Lawrence S. Doyle. Arrived 1998. A subsidiary of Annuity & Life Re America, formerly Capitol Bankers Life Insurance Company. Provided annuity and life reinsurance to insurers through its wholly owned subsidiaries, Annuity and Life Reassurance, Ltd. and Annuity and Life Reassurance America, Inc.
Aon (Bermuda) Phone (441) 295-0265. Top floor, Cumberland House, Victoria Street, Hamilton. P. O. Box HM 2450, Hamilton HM JX. Specialist insurance, broking, reinsurance expertise and consulting. One of the first in Bermuda. Aon Risk Solutions (ARS) as above. The global risk management business of Aon plc. Has signed a unique coinsurance agreement with Berkshire Hathaway International Insurance Ltd. ARS will place business in the sidecar where the Lloyd's market participates. Unlike most sidecars, which write reinsurance business, this sidecar is globally available across all industry segments to write primary business for retail clients. Aquila Energy Re Aquila Inc. of the USA is a leading wholesaler of electric power and natural gas. It was seriously buffeted by the Enron fiasco. As a result, the Bermuda company is wound down its operations. It closed its Bermuda office and reduced its staff to 1. AQR Re Formed December 2011, Class 3B re/insurer, the reinsurance arm of investment firm AQR Capital Management. ARC Insurance Company In May 2014 Bermuda beat out competition from Switzerland to become the domicile of this first-ever African catastrophe insurance pool. ARC Insurance Company Ltd is a mutual insurance company established on the Island to provide drought coverage for five African countries: Kenya, Mauritania, Mozambique, Niger and Senegal. The company was set up by African Risk Capacity (ARC), a specialized agency set up by the African Union to help member states become more financially resilient to extreme weather events and to protect insecure food populations. The capital was provided by the governments of the UK and Germany. It is possible that at some point in the future, the company may consider re-domiciling to Africa, depending on the wishes of the members and directors. ARC officials had visited Bermuda several times during the past 18 months, for talks with himself and financial regulator the Bermuda Monetary Authority. Marsh IAS, the insurance manager in Bermuda, Willis Group as reinsurance broker, and Appleby Bermuda, who assisted with ARC Ltd's incorporation, are among others involved with the new company. The insurance policies issued by ARC Ltd will provide a total of approximately $135 million in drought insurance coverage tailored to the specific requirements of the insured countries. In addition to its own capital, ARC Ltd has secured US $55 million of capacity from the international reinsurance and weather risk markets in order to cover the risks it is taking on from the participating countries. The ARC Agency said the new insurance pool would make disaster-stricken African countries less reliant on international aid and also avoid the scenario of having to divert funds from important development projects to deal with an immediate crisis. Henry Rotich, Kenya's Cabinet Secretary for the National Treasury, said: "Droughts undermine our hard-won development gains, just as Africa is beginning to realize its vast potential. ARC will help us build resilience among vulnerable populations, protect our agriculture investments, thereby increasing productivity, as well as promoting fiscal stability by preventing budget dislocation in a crisis." Nigeria's Finance Minister Okojo Iweala, chairman of the ARC Agency Board, described the formation of the Bermuda-based catastrophe insurance pool as a "transformative moment in our efforts to take ownership and use aid more effectively. It is an unprecedented way of organizing ourselves with our partners, with Africa taking the lead taking our collective destiny into our own hands, rather than relying on the international community for bailouts. Arcata National Insurance Incorporated 13 December 2001. Class 2. Archimedes Risk Solutions Incorporated 3 June 2002. Class 2. Arch Reinsurance Craig Appin House, Wesley Street, Hamilton. P. O. Box HM 1826, Hamilton HM HX. Telephone (441) 296-8240. P. O. Box HM 1826, Hamilton HM HX. Broad-based multi-line reinsurance. Originally Risk Capital Reinsurance Company. Capital US$ 1 billion. Moved to Bermuda from Delaware on November 8, 2000 to avoid US taxes. Part of Arch Capital Group of USA. Arch Capital Group Bermuda and Arch Merger Corporation were formed in July 2000. More than 25 percent is owned by XL Capital. In 2000, Arch acquired Hales, a private American merchant bank specializing in insurance. Class 4. Ardra Insurance Company Owned by Richard and Jean DiLoreto of USA. Argo Group International Holdings Formed in 2008 by the 2007 merger between PXRE and US insurer Argonaut Group, 110 Pitts Bay Road, formerly the office of PXRE. An international underwriter of specialty insurance and reinsurance products in niche areas of the property and casualty market. ArgoGlobal SE is the European arm of Argo Group. It looked at several jurisdictions when it decided to expand its operations into Europe. Argo picked Malta because it has an English-speaking population and the Malta Financial Services Authority (MFSA) has a good reputation internationally. The Maltese branch operates in Europe, mostly Germany, Austria, France, the UK and the non-EU Switzerland, which required a licence from Swiss regulators. The Malta operation takes in millions of euros in premiums and provides work for local law and accountancy firms. It specialises in professional liability coverage. Argus Insurance Company Local. 12 Wesley Street, Hamilton HM 11. P. O. Box HM 1064, Hamilton HM EX. Telephone 295-2021. Fax 292-6763. Argus expanded its property and casualty portfolios with the acquisitions of Bermuda-based Aviva Plc. and the Gibraltar property and casualty company, Norwich Union International Insurance. Ariel Re Victoria Street, Hamilton. Incorporated 2005 by by former ACE executive Don Kramer and investors. Queen Street, Hamilton. The company took over the infrastructure and offices of reinsurer Rosemont Re, a Bermuda company owned by troubled UK parent, Goshawk Insurance Holdings Plc. then in run-off. In 2012 Ariel Re was sold to Goldman Sachs. The deal stating the sale includes reinsurance of all in-force business and outstanding reserves associated with the property reinsurance, property insurance and specialty reinsurance business, as well as the Ariel Re brand and intellectual property. In 2012 the company had 61 employees, 42 of which are Bermudian or spouses of Bermudians. All stayed with the sale. The current underwriting staff of Ariel Re and the existing Goldman Sachs underwriting team will be merged into a single, coordinated underwriting team, writing business in both London and Bermuda. The combined business will operate as part of the Goldman Sachs Reinsurance Group, and there will be a single organizational structure overseeing three operating entities, Ariel Re Bermuda Ltd, Ariel Syndicate 1910 and Arrow Capital Reinsurance Company Ltd. Syndicate 1910 will be renamed Ariel Syndicate 1910 and along with its existing business will offer renewal and novation of the in-force covered business. Ariel Reinsurance and Ariel Holdings will be renamed ‘Arden Re’ and ‘Arden Holdings’, respectively, and will continue to own and operate its credit and surety business and Lloyd’s operation Atrium. Goldman Sachs Reinsurance Group has been in the property and casualty reinsurance business since 2005, had been seeking profitable ways to grow its business. Ariel Holdings had been looking to for liquidity for its initial private equity investors and said the merger creates a strong combined business and ongoing operating platform for both customers and employees. ARIA Ltd Incorporated 21 January 2002. Class 3. Ark Syndicate Management 2007. A Bermuda-based holding company, with investors including Swiss Re and Lehman Brothers, as a new Lloyd's of London underwriting vehicle. Approved by Britain's Financial Services Authority and Lloyd's, it underwrites a diversified book of insurance and reinsurance in marine, energy, property and casualty classes. Arlington Insurance Company Formed 9 October 2002. Class 3. Armitage International Insurance Incorporated September 21, 2001. Class 1. Armor Re Formed May 2013 as a Special Purpose Insurer. Incorporated 2007 by Brad Huntington and John Williams. Holding company for the Armour Re Group - Bermuda based insurance, reinsurance and service companies which specialize in the creation and implementation of solutions and acquisitions within the distressed, discontinued and other specialty sectors of the global insurance and reinsurance marketplace. Arrow Capital Incorporated 24 October 2005. Owned by investment firm Goldman Sachs Group, and is an addition to Arrow Re. Arrow Reinsurance Co 2005. Class 4. Wholly owned subsidiary of The Goldman Sachs Group Inc of New York. Artex Underwriting Managers Arthur J. Gallagher & Co (Bermuda) Ltd, Sofia House, 48 Church Street, P. O. Box HM 2000, Hamilton HM HX. Arthur J. Gallagher Intermediaries (Bermuda) Sofia House, 48 Church Street, P. O. Box HM 2000, Hamilton HM HX. A subsidiary of Arthur G. Gallagher & Co. Ltd, 4th largest insurance brokerage in the world. Asco Bermuda Incorporated 22 March 2002. Class 1. Aspen Insurance 141 Front Street, Hamilton, since November 2011. Previously at Maxwell Roberts Buildings on the corner of Church Street and Par-la-Ville Road, Hamilton. P. O. Box HM 1826, Hamilton HM HX. Incorporated late 2002. Commenced operations in Bermuda in December 2002 as a Class 4. Property and casualty. Capitalized at US$200 million. Aspen Insurance Holdings Holding company of above, formally known as Exali Reinsurance Holdings Ltd. Also owns Wellington Reinsurance Ltd, based in London. Aspre Insurance Brokers Since June 3, 2011. Asset Alliance Reinsurance Incorporated 30 October 2001. Class 3. Associated Electric & Gas Insurance Services (AEGIS) One of the principal Bermuda companies. Assured Guaranty Incorporated 2003 when ACE Limited spun off its financial guaranty arm. Its US direct financial guaranty insurer is Assured Guaranty Corp. The bond insurer backed by billionaire Wilbur Ross. Shareholders approved proposals to buy competitor Financial Security Assurance Inc. from Dexia SA, based in Brussels and Paris. The New York state insurance department approved the transaction, also Oklahoma's insurance department. Assurex Global Reinsurance 3 October 2003. Class 2. In 2011 concluded the acquisition of SCOR SE’s US fixed-annuity subsidiary, Investors Insurance Corp, for $55 million. SCOR, a Paris-based reinsurer, said in February that it would sell the Jacksonville, Florida-based subsidiary to Athene, also a reinsurer. It said the move was part of its strategy to focus its life reinsurance activities around biometric risks - or risks directly connected with the life of the insured person. Liberty Life Insurance Company, a US life insurer, has been a subsidiary of Athene since October 2011, acquired for $628.1 million. Atlantic Star Insurance Formerly Stirling Cooke Brown. Attorneys' Liability Assurance Society (Bermuda) Cumberland House, 1 Victoria Street, Hamilton HM 11. P. 0. Box HM 1289, Hamilton HM FX. Phone 292-9989. A large mutual insurance company providing professional liability coverage to member USA law firms. US operations include ALAS in Chicago. Aurum Surety Insurance Co. Formed November 19, 2010 as a Class 2 insurer by Willis Management (Bermuda). AWCI Insurance Company 17 October 2003. Class 2. Axa Insurance PLC 75 Front Street, Hamilton HM 12. Telephone 296-3600. Fax 295-6209. Axis Capital Holdings See below. John Charman is CEO/President/Director of Bermuda-based Axis Capital Holdings Ltd and Axis Specialty Ltd.
Axis Specialty Mayflower Building, Par-la-Ville and former Partner Re Building, Pitts Bay Road. Incorporated 8 November 2001. Property, aviation, war and other insurance. Formed by March & McLennan Cos. Inc. with US$1.6 billion in capital. Class 4. Banyan Re Formed 25 April 2003. Class 3. Barmas Insurance Co. Incorporated 1 October 2001. Class 1. Bay Point Re Incorporated May 29, 2006. Class 3. Harbor Point’s so-called ‘side car’ vehicle, to provide reinsurance for short-tail business to Harbor Point. BB&T Insurance Company Incorporated 15 November 2001. Class 3. B&C International Insurance Company Incorporated 3 July 2002. Class 3. BF&M Insurance Group Local. 112 Pitts Bay Road, Pembroke HM 06. Telephone 295-5566. Fax 292-8604. Bejar Indemnity (Bermuda) Incorporated 2 May 2002. Class 3. Berkshire Hathaway Assurance Corp A Warren Buffet company. 2007. His Berkshire Hathaway investment company, also Bermuda owned, injected $5bn into to this bond insurance company. Bermuda Life Insurance Company Local. Part of the Argus Group. 12 Wesley Street, Hamilton HM 11. P. O. Box HM 1064, Hamilton HM EX. Telephone 295-2021. Fax 292-6763. Bermuda Provident Company Local. Armoury Building, Reid Street, Hamilton. Telephone 295-3758. Fax 292-1210. Benfield Group Wessex House, Reid Street, Hamilton. Incorporated June 2002, initially with capital of US$12,000 but now increased to $2.6 billion. World's largest exclusive reinsurance broker. UK-based. Also has non-insurance subsidiaries. US operations are Benfield Blanch Inc. UK operations are Benfield Group PLC. Benfield Grieg remains the trading name for reinsurance broking operations outside the USA. Benfield Grieg (Bermuda) and Benfield Advisory are other Bermuda vehicles. Biomet Insurance Formed 17 June 2003. Class 3. Black Gold Re Formed 2006, Class 1, by Colombian oil and gas exploration giant Ecopetrol, to insure its own risks. Ecopetrol epitomizes the new breed of expanding company emerging in Latin America. For most of its 62-year history, it was owned and run by the state. It became a publicly owned company seven years ago and now trades on the stock exchanges of New York and Toronto. During the past two years, it has extended its interests outside Colombia, in the form of a Brazilian offshore venture with Andarko and a subsidiary in Peru. Ecopetrol is the fourth biggest oil and gas company in Latin America. Blizzard Re Ltd Formed May 2013 as a Special Purpose Insurer. Since November 2012, launched by Bermuda-based Montpelier Re as a third-party managed catastrophe reinsurance fund on the London and Bermuda Stock Exchanges. The fully collateralized reinsurance and retrocessional linked investment fund was launched in the market through the Bermuda reinsurer’s Blue Capital Management investment management subsidiary. The fund will tap into investor appetite for alternative financial market assets. Montpelier will invest up to $50 million in the fund on the condition that the amount is matched by external investment. The fund is set up as a feeder fund and will invest in a diversified portfolio of fully collateralized reinsurance-linked contracts and other investments carrying exposures to insured catastrophe event risks in North America, Europe and Asia. By providing its investors with an opportunity to access the returns of global reinsurance markets and catastrophe risks, it aims to offer an annualized dividend yield return of six percent above Libor and after tax annual returns of ten percent above Libor. The fund intends to invest in predominantly in fully collateralised reinsurance-linked contracts through investing in preference shares issued by Blue Water Re Ltd. a reinsurer that in turn writes the reinsurance contracts with the ceding companies. It may also invest in other reinsurance-linked investments carrying exposure to insured catastrophe event risks such as Industry Loss Warranties (ILWs), Catastrophe Bonds and other Insurance-Linked Securities. In June 2013 a $52 million share offering from Blue Capital Global Reinsurance Fund has pushed the rapidly expanding insurance-linked securities (ILS) instruments on the Bermuda Stock Exchange (BSX) beyond the $7 billion mark. A BSX press release stated the value of the ILS instruments, which include catastrophe bonds and reinsurance-linked investment funds, has grown by $1.25 billion or 21 percent so far this year, and now stands at $7.249 billion. Blue Capital Reinsurance Holdings New (2013) Bermuda reinsurance holding company. Owned by Montpelier Re Holdings. Offers collateralized reinsurance in the property catastrophe market, by underwriting a diversified portfolio of short-tail reinsurance contracts and investing in insurance-linked securities. Blue Ocean Reinsurance 2005. Class 3. Due to a $133 million investment by Montpelier Re Holdings. It offers retrocessional protection, or reinsurance for reinsurers, in the property catastrophe market and does so to parties other than Montpelier. At inception, Blue Ocean Re had capital commitments of $300 million in common and preferred equity, including a $133 million investment by Montpelier. The other investors were not identified. Financial guaranty reinsurer. In August 2008 it filed for Chapter 15 bankruptcy protection in New York, and similar protection in Bermuda on August 7, citing defaults on mortgage-related products. BMC Insurance Company Formed September 30, 2011 by JLT Insurance Management (Bermuda). Since 2013 in Bermuda. A global specialty re/insurer. Has a large presence at the Lloyds of London market. The Bermuda office focuses on underwriting excess workers compensation reinsurance as well as US property catastrophe reinsurance, retrocession and ILWs covers. British Steamship Protection and Indemnity Association (Bermuda) Formed July 15, 2010 as Class 2 insurer by Cedar Management. BrokerageAmerica LLC Of New York, with a Bermuda office. Brown Water Insurance Since October 2013, Class 2. Burlington Northern Santa Fe Insurance Co. Incorporated 22 May 2002. Class 2. BW Assurance Corporation Incorporated 23 September 2002. Class 2. Cahow Insurance Incorporated 22 July 2002. Class 1. Canada Life Insurance Company Represented in Bermuda by Kitson & Company. 20 Church Street, Hamilton HM 11. Telephone 295-2525. Canada Life Financial Corporation Established in 1999, holding company for Canada Life. Canopius Holdings Bermuda Recently sold and merged with Tower Group of New York. Canopius Reinsurance Atlantic House, Par-la-Ville Road, Hamilton. Formerly Omega Specialty Insurance Co. 2006/2007. Canopius Group’s Bermuda reinsurance platform. A Class 3A reinsurance company with $400m of capital. It writes structured reinsurance business for third parties and provides capital support to Canopius Group's underwriting operations at Lloyd's. Since 2014 owned by Japanese giant NKSJ Holdings and now the latter's specialty insurance platform. Canopius Bermuda employs a team of ten, most of whom are Bermudian. 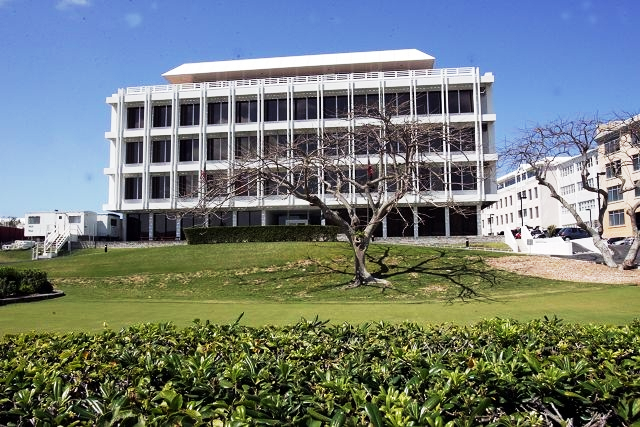 Canopius Underwriting Bermuda (CUBL) Atlantic House, Par-la-Ville Road, Hamilton. Subsidiary of Canopius Group Ltd, headquartered in Guernsey, one of the biggest privately-owned Lloyd's insurance underwriting businesses. Also with offices in Ireland and Singapore. Underwrites excess casualty business on behalf of Canopius Syndicate 4444. Canopy Assurance Incorporated 15 November 2001. Class 1. Since 2012. Subsidiary of New York- based private-equity firm Capital Z Partners. Will focus on insurance, specialty finance and lending. Capital Z Financial Partners partnered with Aon Corporation and Zurich Financial Services to sponsor the formation of Bermuda-based re/insurer Endurance back in December 2001. CARE Ltd. Incorporated 4 September 2002. Class 2. Carolina Re Collapsed following investigation of US-based Fortress Re. Castle Harbour Insurance Victoria Hall, Hamilton. Swift code CAHIBMH1. CastlePoint Holdings Since November 2005. A Hamilton-based holding company that provides property and casualty insurance and reinsurance products and services primarily to small insurance companies and programme underwriting agents in the US. Tower Group Inc., a New York-based specialty property and casualty insurance company, was CastlePoint’s sponsor, has a 16% interest and is the company’s largest customer, according to the prospectus filed in 2006 with the Securities and Exchange Commission. Tower Group, which had sponsored CastlePoint's formation, bought it in 2008. CastlePoint gets most of its premium revenue from Tower Group. CastlePoint Re See above. Formed 2006, Class 3. Castle Re Insurance Company Incorporated 7 November 2001. Long Term. Castlewood Subsidiary of Castlewood Holdings Ltd.
Castlewood Holdings Incorporated in November 2001 with Trident Holdings and a group of investors known as Castlewood Principals to manage and acquire insurance and reinsurance companies including those in liquidation and to provide management, consulting and other services to the insurance and reinsurance industry. Windsor Place, Church, Queen and Reid Streets, Hamilton. Castlewood Risk Management (CRM) P. O. Box HM 2267, Hamilton HM JX. One of the above companies. Changed its name from Powerscourt Group Ltd - established by Irish resident John Kane - which had taken its name from the mansion, gardens and business operations of Powerscourt in Ireland owned by the Slazenger family. A privately owned professional insurance services company headquartered in Bermuda. Castlewood also has offices in the Lloyd's Building in London and Guildford near London. Catalina Holdings (Bermuda) Since 2005. With a wholly owned subsidiary, Catalina Echo. Catalina is backed by major institutional backers including the Royal Bank of Scotland Group, Nomura International, Caisse de Depot et Placement du Quebec, the Ontario Teachers Pension Plan and Century Capital Management, offers owners of insurance and reinsurance companies and portfolios in run-off finality through outright acquisition or, alternatively, through a range of co-venturing, profit sharing or partnership structures. In 2011 agreed to acquire Glacier Re, the Swiss-based reinsurer in run-off. Glacier Re was established in 2004 and wrote a diversified book of predominantly short tail reinsurance until it went into run-off in August 2010. Other recent acquisitions concluded by Catalina include Quanta Capital Holdings in 2008, Alea UK in 2009 and Western General Insurance in 2010. With the Glacier Re acquisition taken into account, Catalina will have total assets of $2 billion. Catalina has offices and operations in Bermuda, New York, London and, following completion of the Glacier acquisition, Switzerland. Catalina offers finality and immediate capital release to owners of insurance and reinsurance companies and portfolios in run-off. In August 1011 announced its wholly-owned subsidiary, Catalina Echo Ltd, signed a definitive merger agreement on August 22, 2011 to acquire Residential Loss Control Holdings, LLC (RLCH). Catalina specialises in offering “finality and immediate capital release” to owners of re/insurance companies and portfolios that are in run-off. RLCH owns two risk retention groups, National Home Insurance Company (NHIC) and Residential Insurance Company (RIC), based respectively in Colorado and Hawaii. In July 2012 HSBC Europe has agreed to sell its Irish insurance business to this Bermuda-based company for an undisclosed amount. In an announcement to the London Stock Exchange, the bank said it was selling HSBC Insurance (Ireland) and HSBC Reinsurance to Catalina. Earlier this year, HSBC and Hang Seng Bank agreed to sell their general insurance businesses in Hong Kong, Singapore, Argentina and Mexico to AXA and QBE Insurance Group. HSBC Holdings, the parent company of the HSBC Group, has 7,200 offices in more than 80 countries and territories in Europe, the Asia-Pacific region, North and Latin America, the Middle East and North Africa. mCatalina specialises in the acquisition and management of non-life insurance and reinsurance companies and portfolios in run-off. Recent acquisitions include Residential Loss Control Holdings in Q3 of 2011, Glacier Re in Q2 of 2011, Western General Insurance in 2012, Alea UK in 2009 and Quanta Capital Holdings in 2008. Cataline Insurance Since May 2008. CatCo Re A class 3 Bermuda reinsurer. It writes fully collateralized reinsurance contracts, associated with Bermuda-based investment entity CatCo Diversified Fund and other CatCo entities. Also run by CatCo from Bermuda. Shares trade on London's Specialist Fund Market and provide some of the capital for CatCo Re. Catlin Insurance Company (CICL) Swan Building, Victoria Street, Hamilton. P. O. Box HM 1287, Hamilton HM FX. Incorporated by WestGen. Lloyds of London insurer and reinsurer. A member of the Catlin Group. Rated A by AM Best. Catlin Westgen Group Owners of above. Cat Pool Re Incorporated 1 October 2001. Class 3. CATRisk A holding company and reinsurance operating company that has assumed 50% of the business of St. Paul Travelers CATRisk operation pending its acquisition by affiliates of San Francisco private equity investors Hellman & Friedman LLC and Friedman Fleischer & Lowe LLC. A specialty property and casualty insurer providing coverage for clients with significant catastrophe exposures. The company provides non-admitted homeowners insurance primarily in Florida and Texas and admitted residential earthquake in California and Washington. It operates through three interrelated specialty insurance companies: residential earthquake insurers, GeoVera Insurance Company and Pacific Select Property, and surplus lines carrier, USF&G Specialty Insurance Company. Cavu Re Since June 23, 2008. Class 3. Centre Solutions (Bermuda) Rated A. One of Bermuda's top reinsurers. Since 1988. Waterfront, Zurich Centre, Pitts Bay Road, Pembroke. (441) 295-8501. (441) 295-3705. Name changed from Centre Re in 1998. Bought by Zurich in 1991 for a reported US$ 7 billion. Parent is Zurich Financial Services. Many offices overseas. Centurion Insurance Services Local. Part of the Argus Group. Craig Appin House, 8 Wesley Street, Hamilton HM 11. Telephone 296-2000. Fax 295-8637. CFM Insurance Managers 3rd Floor, 44 Church Street, Hamilton HM 12. Phone 296-1051. Champlain Insurance Company Victoria Hall, 11 Victoria Street, Hamilton HM 11. (441) 292-6357. (441) 292-1893. Voice mail extension 229 at (441) 295-3550. Charon Insurance Formed May 2009. Class 1. Chelsea Insurance Co Incorporated 1 May 2002. Class 3. Chubb Atlantic Indemnity Belvedere Building, 69 Pitt's Bay Road, Hamilton HM 08. (441) 292-7343. (441) 296-1728. Owned by Chubb in USA. There is also Chubb Re, Inc.
Churchill Insurance Advertises extensively in the UK using the bulldog motif. Believed to be or have been a Royal Bank of Scotland subsidiary. CIFG Holding and CIFG Guaranty A $1.4 billion French insurance and reinsurance organization that moved its headquarters to Bermuda in 2007. It's CIFG Europe will stay a French-resident entity and CIFG Assurance North America will remain a New York-domiciled company. It provides insurance and reinsurance for investment grade transactions in the structured finance, public finance and project finance markets in the US and Europe. A major shareholder is Natixis, offering a range of business activities and services in the retail, commercial and investment banking sectors. CIG Re September 2004. Suite 1774, 48 Par la Ville Road, Hamilton HM 11. A Citadel hedge fund company, as the result of pressure to put new investment money to work. CIS Incorporated in Bermuda 27 September 2001. Class 3. Citygroup Inc CEO Sanford Weill. Colonial Group International Company Jardine House, 33-35 Reid Street, Hamilton HM 12. Or P. O. Box HM 1559, Hamilton HM FX. Phone 296-3700. Colonial Insurance Group As above. Local. Colonial Medical Insurance As above. Phone 296-3200. Commercial Guarantee Assurance Craig Appin House, 8 Wesley Street, Hamilton HM 11. Phone 296-3165. Commercial Risk Partners Subsidiary of French reinsurer SCOR. Commercial Risk Reinsurance Co The Waterfront, 96 Pitt's Bay Road, Pembroke HM 12. Phone 292-9744. Fax 292-9743. Established by Commercial Risk Partners. Concord Re Formed August 2006, Class 3. AIG's $730 million Bermuda-based sidecar set up to reinsure US property risks written by AIG subsidiary Lexington Insurance Co.
Converium Holdings AG Since October 2001, assumed third party reinsurance business operations of Zurich Financial Services. A global lead reinsurer for all major lines of non-life and life insurance organized around four underwriting hubs. C N. A Butterfield & Son Local. "Whitehall" 1 Park Road, Hamilton HM 09. Telephone 295-5519. Fax 292-7972. PO Box HM 78, Hamilton HM AX. CMDC Guaranty Company (Bermuda) Formed 2006, Class 3. Crown Colony Insurance Company Formed 18 September 2002. Class 1. CTFS Bermuda Formed 25 October 2003. Class 3 and Long Term. Curelife Incorporated 22 November 2001. Long Term. Cyrus Re Since late 2005, Class 3, after the industry was hit by billion dollar claims from heavy hurricane activity. With lead investor Highfields Capital, a Boston-based hedge fund company, to provide reinsurance under a quota-share treaty to XL. A wholly-owned subsidiary of Cyrus Reinsurance Holdings SPC. D'Artagnan Re Bermuda Incorporated September 2002. Class 4. D'Artagnan Holdings Incorporated 5 August 2002 by a group of former Axa Re directors to hold the above. Da Vinci Re Formed 21 December 2001. Renaissance House, 8 Crow Lane, East Broadway, Pembroke. P. O. Box HM 2547, HM GX, Bermuda. CEO James Stanard. Property catastrophe and casualty cover on a world-wide basis. With US$500 million in capital by Bermuda-based Renaissance Reinsurance Ltd. and State Farm Mutual Reinsurance Company. Managed by Renaissance Underwriting Managers Ltd. 55 staff in Bermuda, all in offices of Renaissance Re. No staff work specifically for Da Vinci Re. Class 4. DEL Re Formed May 9, 2011 as a Class 3A re/insurer by Marsh IAS Management Services. Demeter Re Formed May 2013 as a Class 3 Insurer. D. E. Shaw Re (Bermuda) Formed 2006, Class 3. Diamond Re Formed September 16, 2008. Class 1. Donau Re Formed December 4, 2009 by Aon Insurance Managers (Bermuda) Ltd. Class 1. Dunamis Holdings In November 2011 announced it's launch of Kalista, a cost-effective and efficient catastrophe bond issuance platform. Durham Casualty Company Formed 24 October 2001 after September 11, 2001 World Trade Center loss. Class 1. Eastport Insurance Company Windsor Place, 18 Queen Street, Hamilton. Phone 295-5425. Emerald Re Formed November 30, 2009 by JLT Insurance Managers (Bermuda). Class 3. Endurance Specialty Insurance Incorporated 26 November 2001. Zurich Centre, 90 Pitt's Bay Road, Hamilton HM 08. Phone (441) 278-0400. Fax (441) 278-0401. Major investors include Aon Corporation, Zurich Financial Services, Capital Z Financial Services, Fund II, Thomas H. Lee Partners, Texas Pacific Group and Perry Capital. Offers business including property/casualty reinsurance, excess workers compensation reinsurance, aviation liability, D&O insurance and excess general liability. Class 4. Energy Risk Since April 2005. Class 1. Energy XXL Insurance Formed June 21, 2011 as a Class 1 by JLT Insurance Management (Bermuda). Engineering Consultants Underwriters Formed February 9, 2009, Class 1, by Independent Management Group. Enron Re The reinsurance unit of Enron Corp in USA that applied for bankruptcy protection. It has assets including US$7.9 million and a reported $8.93 million in liabilities. It was one of 7 Enron Bermuda-registered subsidiaries. Enstar Group A 2006 holding company of Enstar USA based in Georgia, USA, operating several equity affiliates in the financial services industry. Acquires and manages re/insurance companies in run-off and provides management, consultancy and other services to the insurance and reinsurance industry. Together with Trident Holdings and a group of investors known as Castlewood Principals, it formed Castlewood Holdings in Bermuda in November, 2001 to pursue the management and acquisition of insurance and reinsurance companies, including companies in run-off, and to provide management, consulting and other services to the insurance and reinsurance industry. Now owns Torus Insurance Holdings Ltd, to expand into direct sales of coverage. Esecuritel Re Formed May 2009. Class 2. Eon Group January 2008. Class 2. ESG Re A supplier of reinsurance, specializing in life accident and health product development, as well as direct insurance to financial institutions. Although Bermuda-based, it also has offices in London, Dublin, Lisbon, Hong Kong, Bangkok and Kuala Lumpur. ESM Re 2006. Class 3. Since 1999. A unit of the Bermuda-based White Mountains Insurance Group. In its first decade, the company sold more than 1.5 million auto insurance policies in USA, and insured more than 2.2 million drivers. It has become the third-most recognized personal auto insurance provider on the Internet. Was a pioneer in web-enabled insurance services, using real-time underwriting verification, electronic signatures, and actionable comparison quotes. Since 2004, the firm has adopted animated television advertising to support the Esurance brand. E-Trade Re Formed 23 October 2002. Class 3. European Insurance Company of Zurich P. O. Box HM 1767, Hamilton HM GX. European Finance Reinsurance Incorporated 2002. Class 3 and Long Term. Everest Reinsurance (Bermuda) Rated A+. One of Bermuda's top reinsurers internationally. Formed in 2000 as a corporate inversion from the USA. Writes primary and excess property insurance for US Fortune 500 firms and global accounts. Bermuda-based special purpose insurer, the insurance vehicle for a May 2012 $750-million single-peril catastrophe bond deal, the largest cat bond on record. Those bonds provide hurricane reinsurance cover. It marks the first time that Florida state-run Citizens, which sponsored the bonds, has come to the ILS market. Citizens now has a Bermuda Stock Exchange listing. Exeter Reassurance Bermuda-incorporated, owned by Metlife, the USA's largest insurer. Scheduled for repatriation to USA, and a merger with three state-regulated MetLife units: the MetLife Insurance Company of Connecticut; the MetLife Investors USA Insurance Company, now based in Delaware; and the MetLife Investors Insurance Company, based in Missouri. Exporters Insurance Company Ace Building, 30 Woodbourne Avenue, Hamilton HM 08. (441) 296-1745. (441) 292-8662. Trade credit insurer. Falvey Insurance Co. Incorporated 28 February 2002. Class 2. FGS (Bermuda) Incorporated 17 September 2001. Class 1. Financial Security Assurance International XL House, 1 Bermudiana Road, Hamilton HM 11. P. O. Box HM 1272, Hamilton HM FX. Phone 292-6683. Fax 292-4338. Fitzwilliam Insurance Incorporated 15 March 2002. Class 3. Flatiron Re Incorporated December 14, 2005 as a limited-life, special-purpose Class 3 reinsurance company set up specifically to offer reinsurance to Bermuda-based Arch Reinsurance Ltd.
Freisenbruch-Meyer Group Local. 75 Front Street, Hamilton. Telephone (441) 296-3600. Fax (441) 295-6209. Freisenbruch-Meyer Insurance Local. Incorporated 26 April 2002. Class 3. Fresenius Medical Care Risk Management Group Formed May, 2009. Class 1. A wholly owned subsidiary of Mitsui Sumitomo Insurance Co. Ltd. (MSI), the main trading subsidiary of Mitsui Sumitomo Insurance Group Holdings, Inc. Serves as one of MSIG's strategic insurance vehicles designed to achieve the group's geographical portfolio optimization and risk diversification. Front Street Advisors Since March 3, 2012. Formed by former XL CEO Brian O’Hara as a new line of business for the Bermuda insurance market. The company is creating a form of insurance that would allow banks to count the intangible assets of their borrowers, such as intellectual property, as collateral, thereby easing their capital requirements. The group has been in talks with underwriters on the Island in a series of meetings over the past year. The UK's Financial Times has reported that some banks have been exploring whether they can use intellectual property assets to reduce their estimated losses in the case of a loan default. The difficulty of putting a dollar value on trademarks and patents, for example, has always been an obstacle. An insurance contract through which the insurer agreed to buy the intangible assets for a fixed price in the event of a loan default could help to apply a value to them. The advantage for banks is that it could help them reduce the risk weight of the loans in question and thus reduce the amount of capital to be allocated. Such an insurance product could gain traction in an increasingly knowledge-based economy, in which an ever larger proportion of the assets of companies are in the form of ideas rather than tangible assets like buildings and hardware. This is particularly true of technology and biotech firms. Also, banks would welcome the chance to ease capital requirements at a time when regulators are requiring them to hold more capital. Also being considered is a new model for run-off of discontinued lines of business, revolving around a new legal approach to run-off. To make it work, a special purpose vehicle would be ideal to post collateral to give comfort to the run-off company that it would work and with reinsurance behind it, if it doesn’t work. GC Insurance Incorporated 12 December 2001. Class 1. GS Secured Guaranty Formed June 10, 2011 as a Class 3 insurer. A 2010 captive management company born out of the reorganization of this entity. General Motors' Bermuda-based captive insurance company. No longer managed by its own staff. Instead, now run by Granite Management Ltd., a new consultancy and captive management company. General Security Insurance Company Incorporated 10 October 2003. Class 1. GeoVera Insurance Holdings A supplier of specialty residential property insurance products in hurricane-prone markets such as Florida, South Carolina and Texas, and earthquake-vulnerable states such as California, Oregon and Washington. Provides specialty residential property insurance products, focusing on two lines of business, specialty homeowners and residential earthquake. Fairfield, California, is its primary place of business. Gerova Financial Group Cumberland House, Hamilton. Since January 2010 in Bermuda, after relocating from the Caymans. An international reinsurance holding company, with operating insurance subsidiaries in Barbados, and Ireland, as well as a Bermuda life reinsurance company. See above. In addition to underwriting, Gerova makes what it describes as high-yield senior secured commercial loans to middle market companies in select industries. Glencoe Insurance Renaissance House, 8-12 East Broadway, Hamilton HM 19. (441) 296-3235. Fax (441) 295-4029. Owned by Renaissance Re. Goshawk Insurance Holdings Incorporated 26 November 2001. Par-la-Ville Place, Hamilton. Owned by UK insurer Goshawk Holdings PLC - which owns and manages Syndicate 102 at Lloyd's of London.. Class 4. Global Reinsurance Capital Formed 17 June 2003. Class 3. Since May 2008. A new $133 million "sidecar" with investors being German reinsurance company Hannover Re and independent reinsurance and risk intermediary Benfield Group. Created to provide extra capacity for US natural catastrophe risks. Golden State Re Since October 24, 2011, Special Purpose Insurer, incorporated by Kane (Bermuda) Ltd.
Goodhealth Worldwide Acquired in September 2007 by health care benefit provider Aetna. Underwrites international private medical insurance that offers expatriate benefits to individuals, small and medium enterprises, and large multinational clients around the world. Owned until take-over by international insurance business Primary Group. Has more than 55,000 members and 170 employees with offices also in Miami, London, Dubai, Jakarta, Hong Kong and Shanghai. Now a unit of AGB, Aetna's international business for expats. Insurance products. Directors include Michael Bott, of Bott & Associates, and Susannah Daugharty, executive assistant to Mr. Symons. Goshawk Reinsurance Incorporated August 2002. Subsidiary of above. Grand Central Credit Insurance Formed 1 May 2003. Class 3. Grand Indemnity Company Class 2. Since January 2009. Set up by Quest Management Services. 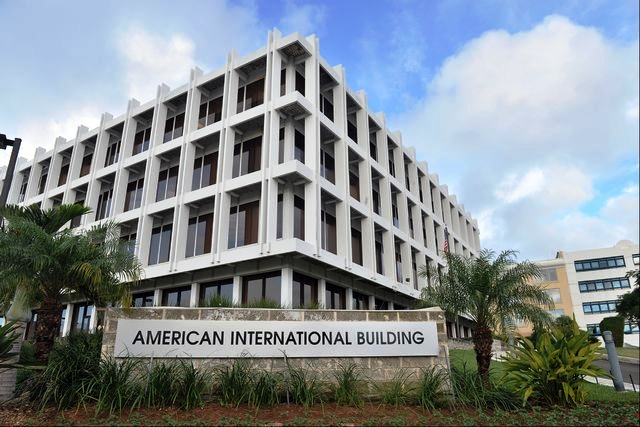 Grand Isle SAC On March 7 2014 American International Group (AIG) launched this Bermuda-domiciled subsidiary in response to strong demand for alternative risk financing programmes, particularly from small and medium-sized companies. It will offer customers the option of establishing segregated accounts in an AIG-sponsored captive. Customers gain access to the captives established capital, insurance licence, and underwriting capabilities to retain and manage their risk, without the costs of starting and operating their own stand-alone captives. Segregated account companies have been used across all industry segments for a range of coverages, from general and professional liability to employee benefits and cyber risk. A segregated accounts company is considered an option for a company looking to share risk in order to achieve cost savings and flexibility in its insurance programme. AIG Captive Management Services in Bermuda manages the regulatory requirements, financial reporting, and administrative functions for all customers participating in Grand Isle. Greenlight Capital Re 2005. Capitalizes on growing demand for insurance products. A hedge fund based company. Greif Insurance Company Formed 16 October 2002. Class 1. Greenwich Knight Insurance Company Incorporated November 2003. Class 3. Guaranteed Weather Re Formed 5 May 2003. Class 3. GX Insurance Incorporated 12 December 2001 as a direct result of the tragic September 11, 2001 World Trade Center and related events. Class 1. Guy Carpenter & Company P. O. Box HM 2444, Hamilton HM JX. Pitts Bay Road, Hamilton. Reinsurance. Since 2000. One of the Marsh and McLennan companies. In 2006, it placed in excess of $4 billion in premiums with Bermuda-based companies. H&R Block Insurance Co. Established 6/30/1972 by the US-based tax advisors. Hamilton Insurance Group Holding company for Hamilton Re. Hamilton Re Bermuda-based Class 4 property and casualty reinsurer for Hamilton Insurance Group. Originally incorporated in 2011/2012 under a different name, SAC Re, after being founded by Steven A Cohen, who built one of the world’s biggest and most successful hedge funds, SAC Capital Advisors, in Stamford, Connecticut. Class 4. But taken over and renamed by Bermudian industry tycoon Brian Duperreault, the former CEO of Ace Ltd and Marsh & McLennan companies. New York-based Two Sigma Investments manages Hamilton Re's assets. Hannover Life Re (Bermuda) 2007. 50 Parliament Street, Hamilton HM 12, Bermuda, or by mail at P. O. Box HM 2373, HM JX, Bermuda. Phone 294-3110. Fax 296-7568. Subsidiary of Hannover Re, fifth-largest reinsurance company in the world. Hanseatic Eastern Insurance Company (Bermuda) Windsor Place, 18 Queen Street, Hamilton. Phone 295-5425. Incorporated in Bermuda in 2002 under the Hanseatic Insurance Company (Bermuda) Ltd. Act 2002. Harambee Re 2012. Launched by Argo Group International Holdings. Harambee Re 2013-1 Launched January 2013 as a sidecar by Argo Group International Holdings. It supports both an insurance and reinsurance portfolio. Harbor Point Re 2005. Class 4. A $1.5 billion global reinsurer formed in the wake of Hurricane Katrina. Set up by investments from private equity fund Trident III, L.P. and insurance giant Chubb Corporation. With Chubb's reinsurance business. Chubb has 16%, with staff from Chubb. Shares office space with Chubb Atlantic Indemnity in the Belvedere Building on Pitts Bay Road. Harco Reinsurance Company Established 2/7/1980 as a Bermuda-domiciled insurer, a wholly-owned subsidiary of Bermuda-domiciled IAT Reinsurance owned by billionaire American investor Peter Kellogg and his family. Hardin Assurance Formed June 17, 2011 as a Class 1 insurer by Marsh IAS Management Services (Bermuda). Hardy Underwriting Bermuda Class 3 reinsurance unit with a holding company. Park Place, corner of Front Street and Par-la-Ville Road. $200 million-capitalized insurance and reinsurance company. It re-domiciled from London to Bermuda in 2007/2008. Lloyds of London insurer. Re-domiciled from UK to Bermuda. Writes specialty lines and is best known for its aviation coverage, particularly helicopters and small aircraft. It also insures ships and their cargoes, as well as offering property, terrorism and health insurance. Harrington International Insurance P. O. Box HM 3210, Hamilton HM NX. Harrington Sound Insurance Victoria Hall, Hamilton HM AX. Swift code HSILBMH1. Healthstar Indemnity Incorporated November 20, 2002. Class 1. Started by investors to insure White Mountains after the record 2005 hurricane season boosted demand for coverage. Helmsman Insurance Group May 2002. Class 3. Henner Insurance October 2001. Class 3. Hillcot Holdings Formed in 2003 by Castlewood Holdings Ltd and Japan's Shinsei Bank Ltd. to buy the UK subsidiary of Japanese insurer Toa Reinsurance Company for $46 million. Hiscox Insurance Company (Bermuda) 2005. Class 4. Owned By Hiscox PLC, one of the UK’s largest specialty insurers, formerly at Lloyd's of London, but now moved to Bermuda, tied in to other Hiscox insurers abroad. One of the UK's leading insurers of higher value homes and also one of the most expensive of medium-value homes. In 2008 added life actuarial consulting and company management to its Bermuda-based services. Also offers claims-related services in the US. Provides consulting and management services to life insurance and reinsurance companies in Bermuda and also assists in the life insurance related securitizations taking place outside the US. Since July 26, 2011. Owned by Hyperion. HSBC Insurance Solutions (Bermuda) Continental Building, 25 Church Street, Hamilton. P. O. Box HM 3033, Hamilton HM NX. Established by HSBC Insurance Brokers. One of the world's largest banking and insurance groups, headquartered in London, with 5,000 offices in 80 countries. Opened in 2002. Owned by HSBC Banking Corporation. HTH Re May 2003. Class 3. IAS Park Formerly - until April 2003 - Mutual Risk Management Ltd. 48 Church Street, Hamilton HM 12. (441) 295-5688. (441) 292-1867. P. O. Box HM 2064, Hamilton HM HX. It owns Valmet, based in the Isle of Man. Robert Mulderig has left, replaced by David Ezekiel as CEO. Part of MRM Global Captive Group. IAT Reinsurance Company A Class 3 Bermuda domiciled reinsurer, owned by American billionaire Peter Kellogg and his family. Rated A- by A.M. Best. Reinsurance underwriting operations are conducted out of Rolling Meadows, IL, with the majority of business written by Harco National Insurance Company rated A- by A.M. Best, wholly owned by IAT Re. IECD (SAC) Formed May 6, 2011 as a Class 3 insurer by Symphony Management. IES Reinsurance Incorporated 28 January 2002 as a direct result of the tragic September 11, 2001 World Trade Center and related events. Class 1. Imagine Insurance Company Wholly owned subsidiary of the below company. Had a very successful 2002. Imagine Reinsurance Holdings A finite risk reinsurance enterprise delivering structured insurance and reinsurance solutions to clients. Has a Dublin office. 100 percent owned by Trilon Financial Corporation & Management, a Canadian financial services company. Purchased Enterprise Re in June 2001. ING Risk Management (Bermuda) P. O. Box HM 1978, Hamilton HM HX. Inner Circle Insurance Company Since April 2005. Class 3. Insurance Services (Bermuda) Since April 2005. Class 1. Insurance Solutions Since April 2005. Class 3. Insured Ventures Incorporated 5 December 2001. Class 3. Integro Bermuda May 2005. Provides risk management and brokerage services to companies with complex risk. Bermuda HQ, also with offices in London, Toronto and USA. Founding partners were Robert Clements, Roger Egan and Peter Garvey to serve the complex insurance and risk management needs of large institutional risks. New York-based insurance brokerage. Some employees are Bermuda-based. Maxwell Roberts building, Par-la-Ville Road. Inter-Ocean Holdings A specialist insurance and low-retention finite reinsurance company since 1990. Until 2003, owned in part by the Argus Group of Bermuda. International Property Catastrophe Reinsurance American International Building, 29 Richmond Road, Hamilton HM 08. P. O. Box HM 152, Hamilton. Phone 295-2121. Inter-Ocean NA Insurance Co Incorporated 9 August 2002. Inter-Ocean Reinsurance Company Wessex House, 4th Floor, 45 Reid Street. Hamilton. Phone 292-5794. Fax 292-5552. Parented by Inter-Ocean Holdings, now partly owned by GMAC Insurance Holdings Ltd. One of the principal Bermuda companies. IPC Re American International Building, 29 Richmond Road, Pembroke HM 08. Phone 298-5100. Fax 292-8085. Owned by IPC Holdings Ltd. Since June 2009. Class 3. Set up by private equity firm Cartesian Capital Group. Offers industry-loss warranties and covers a range of catastrophes globally. 141 Front Street, Hamilton. Since 2009. A joint venture between Ironshore and CV Starr & Co. A specialty lines insurance managing general underwriting agency. Ironsure Insurance Owners of Ironsure Re. Ironsure Aviation See Ironsure Re. Ironsure Re Incorporated October 2006 by Robert Clements, co-founder of Bermuda giants Ace Ltd. and XL Capital. With more than $1 billion in capital. A subsidiary of Ironshore Inc. Class 4 insurer, created in response to crisis conditions in the United States property catastrophe insurance markets. Specializing in the latter in wind-exposed parts of the USA. Staff are based in Bermuda, Seon Place, Front Street. Its US subsidiary, Ironshore Holdings (US) Inc., completed in October 2007 the acquisition of Stockbridge Insurance Co., a US-based admitted insurance company, from Folksamerica Reinsurance Co.
Ironshore's 2008 created excess casualty facility. Writes excess umbrella casualty for mid-sized commercial risks such as manufacturing accounts, retail and wholesale operations, and contractors. Insurer, its UK operation is Island Capital (Europe). Acquired in October 2010 by UK insurer and run-off investor Tawa in a $7.4 million (5.3 million Euros) deal. Jackson National Life (Bermuda) Formed 15 April 2003 by Appleby Spurling & Kempe. Long Term. With its own Private Bill Act. In September 2013 Jardine Lloyd Thompson Group plc (JLT, see below) announced the acquisition of the reinsurance brokerage business of Towers Watson. It has since merged with JLT’s reinsurance business, JLT Re, to create a new force in the international reinsurance market with combined revenues of $266 million and 700 people in 35 locations in 17 countries. JLT Risk Solutions Management (Bermuda) Vallis Building, 3rd Floor, 58 Par-la-Ville Road, Hamilton. P. O. Box HM 1838, Hamilton HM HX. Captive Management. JRG Reinsurance 39 Victoria Street, Hamilton. (441) 278-4572. Cell: (441) 536-4572. US working layer Casualty and non-Cat exposed property insurance. Since 2008. With lead role within Franklin Holdings (Bermuda). Kaith Incorporated 13 March 2002 as a direct result of the tragic September 11, 2001 World Trade Center and related events. Class 3. Kalista Global Bermuda-based, insurance and reinsurance services with a focus on the alternative reinsurance sectors. Recently partnered with Bermuda-based New Grange Brokers to launch a type of parametric index-based insurance weather product. The new product is called EPC, or ENSO-based Parametric Cover, and functions by utilising sea surface temperatures taken from the National Oceanic and Atmospheric Association (NOAA) as the basis for insurance payout. The insurance uses an index for payout that provides an objective means to measure losses, such as excess rain, high river levels, or extreme sea surface temperatures. According to Kalista, by using an index as the proxy for loss, there is no need for expensive loss assessments. Utilising an index also reduces moral hazard and other issues that can arise with traditional insurance covers. The trigger is based on the ENSO (El Nino Southern Oscillation) cycle index, which covers El Nino, La Nina and normal sea surface conditions. Claims are paid out by cat bond investors or collateralised/convergent markets. Since March 2010. Formed by Kinsale Capital Group Ltd. as a new US specialty insurer, based in Richmond, Virginia. Underwrites commercial property/casualty and professional liability lines within the excess and surplus lines segment in 31 states/District of Columbia and is applying for eligibility in the remaining states. Kinsale's investors include Moelis Capital Partners, LLC and Virginia Capital Partners LLC. Kiln PLC 2007. Class 4. The fourth largest operator in the Lloyd's market moved its headquarters from London to Bermuda and set up a $309 million reinsurance subsidiary here. Will use its Bermuda base to expand in the USA. In the UK it provides energy, marine, property and aviation cover. Kiskadee Re Since April 2013, Special Purpose Insurer, formed by Bermuda-headquartered specialist insurer Hiscox. KM Insurance Ltd Since 2005. Class 2. Lancashire Holdings Since 10/12/2005. Parent company of October 2005 start-up Lancashire Insurance. A $1.38 billion capitalized international insurer, now also listed on the Bermuda Stock Exchange. Lancashire Insurance Company Since 10/28/2005, Class 3. Power House, 7 Par-Ka-Ville Road, Hamilton HM 11. Phone 441-278-8950. Fax 441-278--8951. Class 4. Formed by Richard Brindle and Capital Z Financial Services Partners. Began with about $1 billion in capital. Sells marine, energy and other short-tail risks. Lansdowne Insurance Company Incorporated by Act of Parliament 20 March 2002. Windsor Place, Church, Queen and Reid Streets, Hamilton. Lantana Insurance Incorporated 31 July 2002. Class 3. Latin American Reinsurance Company XL House, 1 Bermudiana Road, Hamilton HM 12. Latitude Insurance January 2008. Class 3. Lavida Since 6 February 2002. Class 3. LCI Insurance Since 2 October 2002. Class 1. Leeward Insurance Company Formed 23 May 2003. Class 3. Lehman Re Ram Re House, 2nd Floor, 46 Reid Street, Hamilton HM 12. (441) 294-0000. (441) 296-8452. Insurance subsidiary of the US investment bank Lehman Brothers. Its shares dived in September 2008 before the Lehman parent collapse. Lexington Insurance A new (2007) part of the giant American International Group, based at the AIG offices on Richmond Road. Libre Insurance Company Since 18 September 2002. Class 3. Liberty Mutual Management (Bermuda) 3rd Floor, 73 Front Street, Hamilton. Phone 296-2131. Fax 296-8846. A wholly-owned subsidiary of Liberty Mutual in USA. Life Sciences Insurance Co. Since May 1, 2002. Class 1. Link Specialty Re Formed May 2013 as a Special Purpose Insurer. Lockton Cos Owned by Global insurance broker Lockton Cos. Inc, Kansas City-based company. Long Bay Re Expected to raise $150 million in a 2010 initial public offering on London's Alternative Investment Market. Longtail Re Since 12 December 2001. Class 3. Lonmin Insurance Since 21 September 2001. Class 1. Lorenz Re A special purpose insurer. Lucent Insurance Ltd Since April 2005. Class 2.